A refrigerator is one of the largest appliances in the house, and it is also one of the most expensive. A new refrigerator can cost as much as as $2,100 for a higher-end model. Therefore, if you are in between permanent living arrangements, you should move your owned refrigerator into a storage unit temporarily so you don't have to buy a new one later. If a refrigerator is not properly prepared for storage in a unit, you could retrieve your appliance only to find it no longer works or is somehow damaged beyond use. Refrigerators require more advance preparation for storage than a lot of other household appliances. Here is a simple guide to help you get your fridge ready to go into a storage unit until you're ready to use it again. Clearing the fridge of any contents before you move it is critical. Not only do you not want any food left inside the refrigerator or freezer compartments because it will spoil, but anything left could also attract pests to your storage unit. Be especially attentive to small food particles that are easily forgotten or overlooked, such as a stick of butter hidden in a drawer or a leaf of lettuce hiding on a shelf. 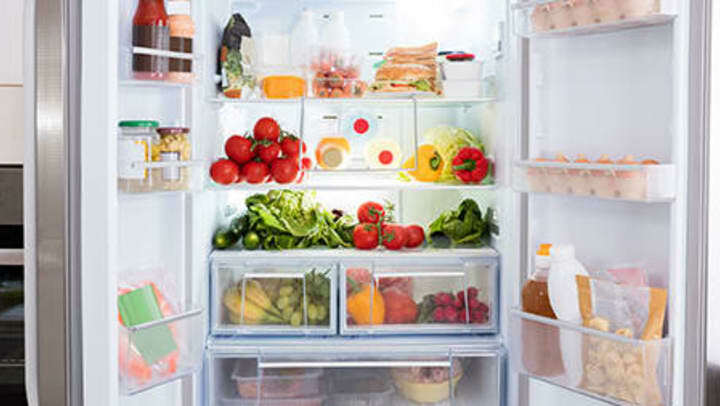 Once you've eliminated all food contents from the refrigerator, unplug the appliance so it can naturally defrost. Ice particles left in the freezer will melt if the appliance is moved to the unit with ice inside, so defrosting in advance of the actual move is important. Refrigerators are built to maintain their temperature, so the defrosting process can take a while. To speed up defrosting, remove pieces of ice as they break loose. You can also place bowls of steaming hot water inside of the fridge and freezer compartments, which will loosen most ice chunks within about 20 minutes. Don't forget to pull out any ice cubes from the icemaker if your model is equipped with one. Once you've cleaned all parts and components of the refrigerator, make sure you dry every surface with a towel. Replace the refrigerator's components so they will be safe during transit. Mold and mildew can start to develop within 24 to 48 hours under the proper conditions. The inside of a dark, damp refrigerator is an ideal environment for mold and mildew to form. Therefore, when you get your refrigerator to the storage unit, you cannot leave it there with the doors fully closed. Doing so will almost always mean you will come back to a moldy refrigerator. You can ventilate the interior of the fridge for long-term storage using two methods. You can either remove the doors completely, or simply leave the doors in an open position. If the unit does not have a lot of space, you can roll up a towel so that it is a few inches thick, place it between the door and refrigerator, and secure the door in place with tape so there is a small gap present. By following these tips when storing your refrigerator, you should come back to it in pristine condition and ready for use again. If you need a storage unit for your household appliances or belongings, reach out to us at Cardinal Self Storage for help.